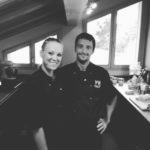 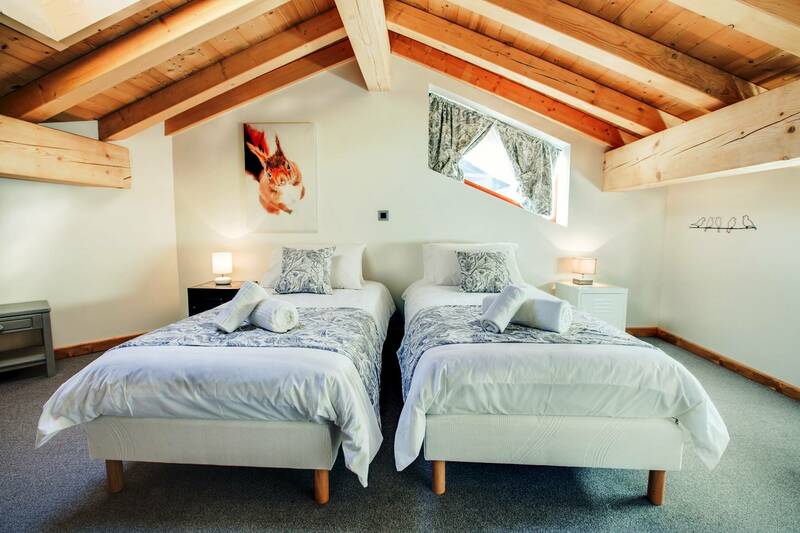 We are over the moon to add to our portfolio two brand new “sister” chalets Chalet Chouette and Chalet Hibou (one above the other) right in the centre of Morzine. 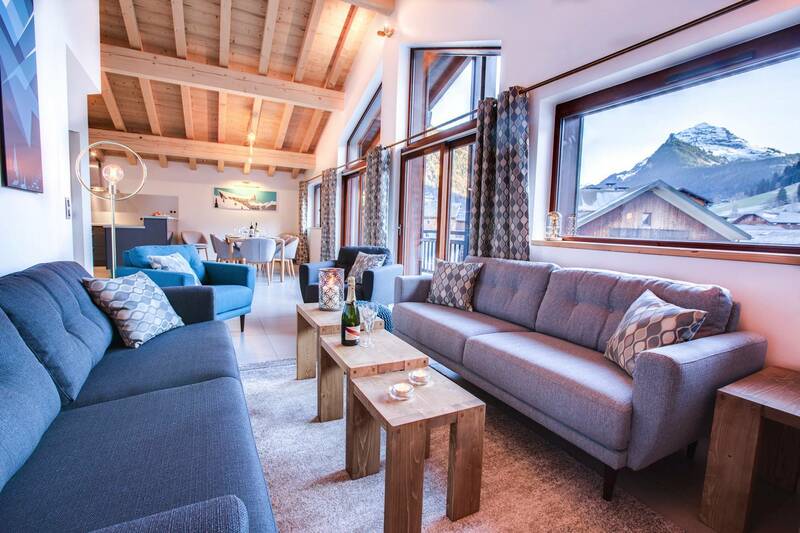 They have proven to be a huge hit with guests this winter due to their stunning, modern but comfortable interiors and their amazing location and incredible views! 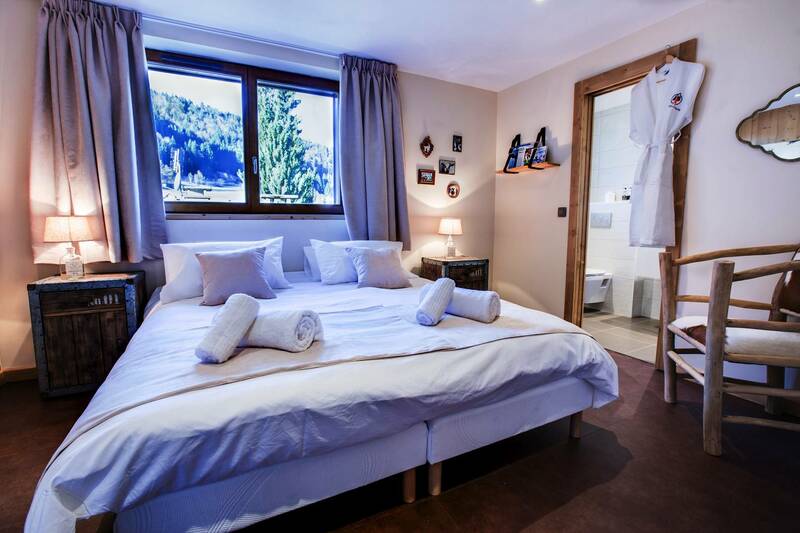 Chalet Chouette has 4 en suite bedrooms: 3 well proportioned twin/doubles and then a quad room that can comfortably sleep 4. 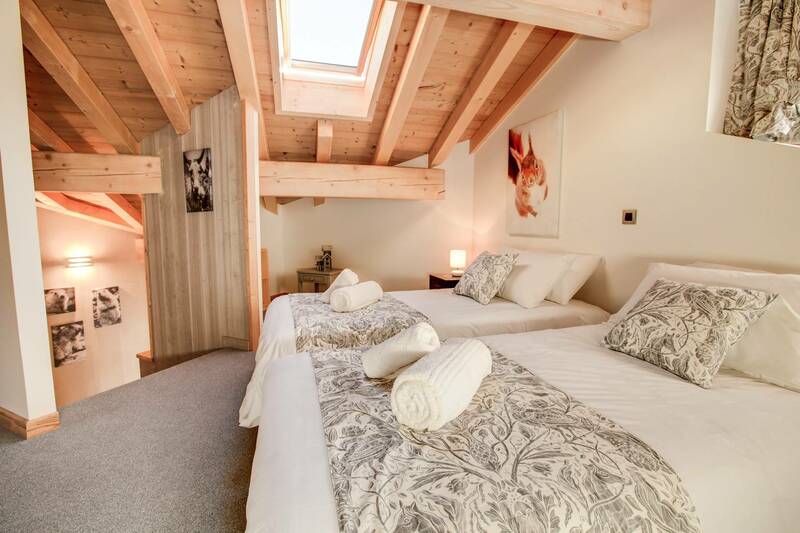 All the beds are luxury zip and link beds that can be made up into super kings. 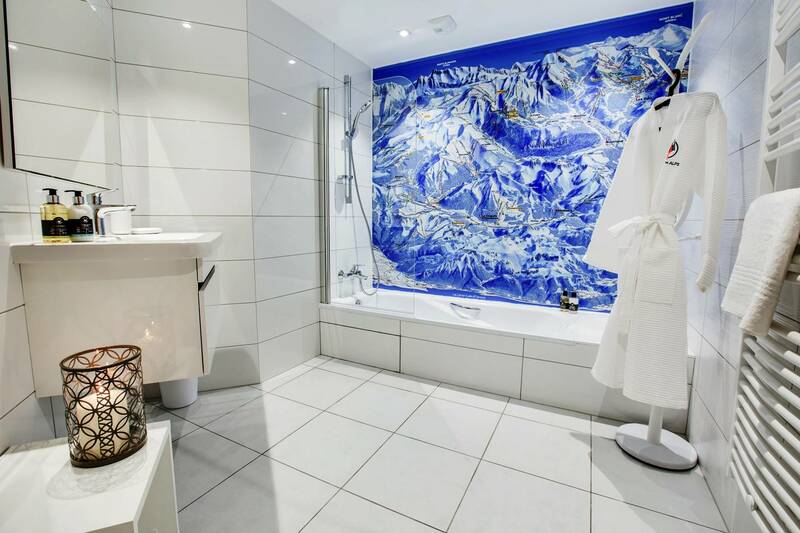 Complimentary Myddfai luxury toiletries are provided, as are hairdryers, robes and towels. 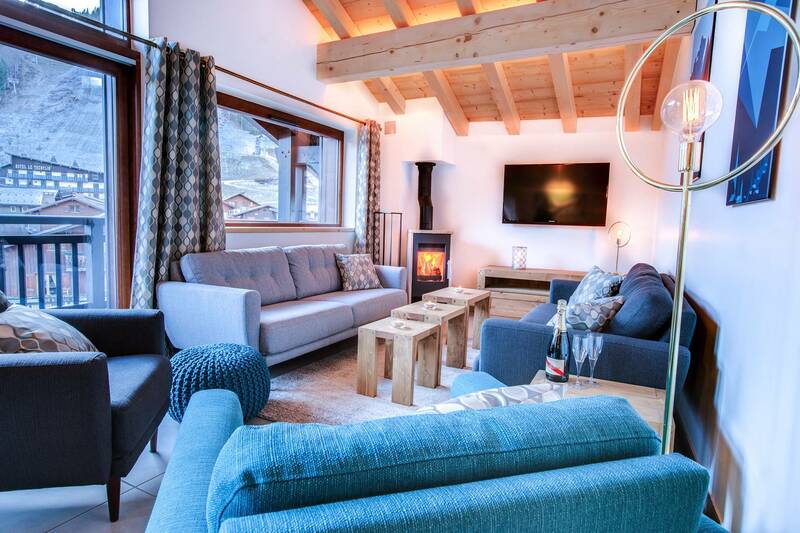 There is an open plan sitting/dining room with a log burner and plenty of stylish sofas to chill out on after a day in the mountains. 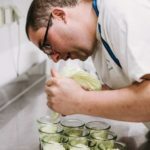 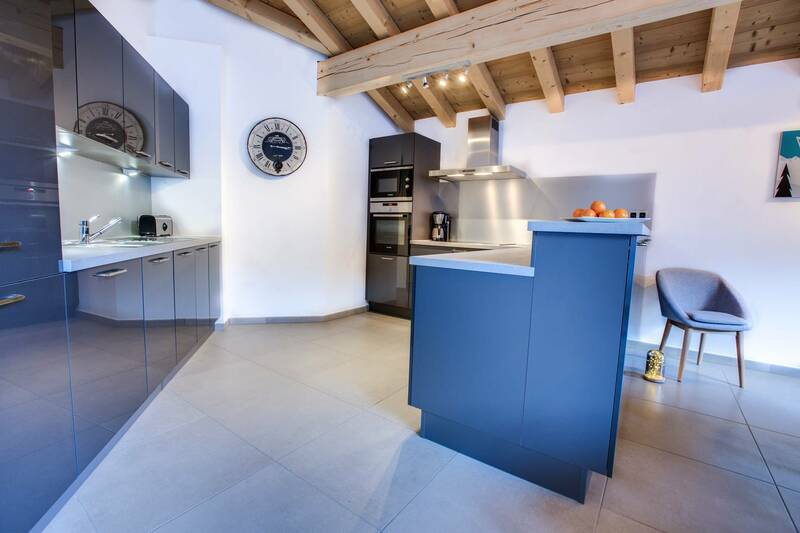 The kitchen is very spacious with a large induction hob, two ovens, a microwave and a dishwasher and large fridge/freezer. 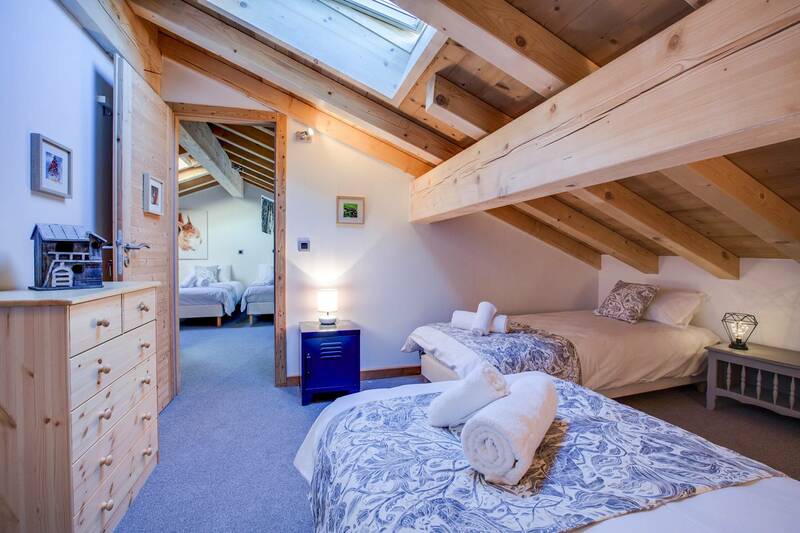 Downstairs the two chalets share a communal sauna/ shower area with additional toilet and laundry faciltiies (washing machine and tumble dryer and clothes airers) so we have the practicalities of cleaning swim stuff or biking and hiking gear taken care of!. 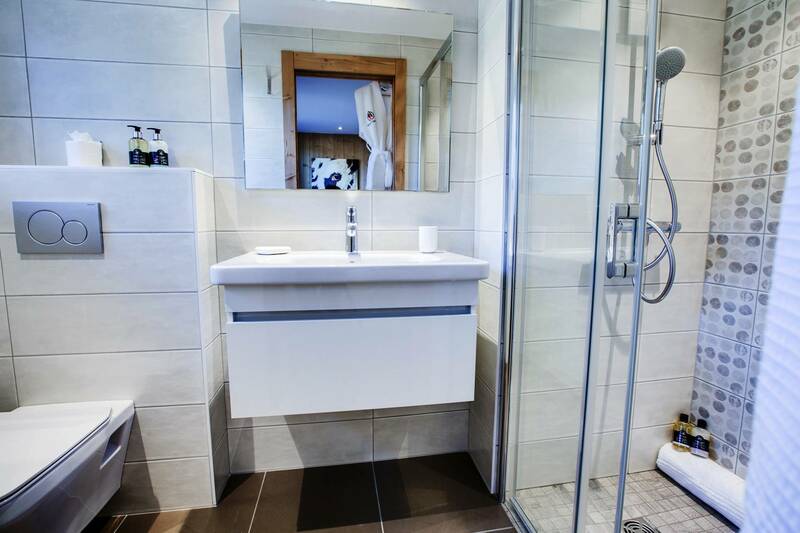 For bikers mud can be unavoidable, with the shower downstairs you can easily hose down gear or bodies before going into the chalet itself and leave gear to dry overnight. 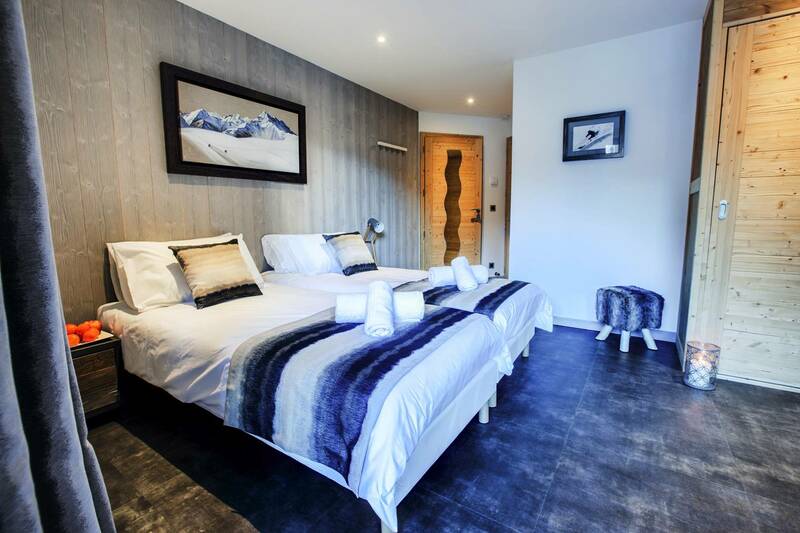 We also have a purpose built store room for secure storage of road bikes & mountain bikes. 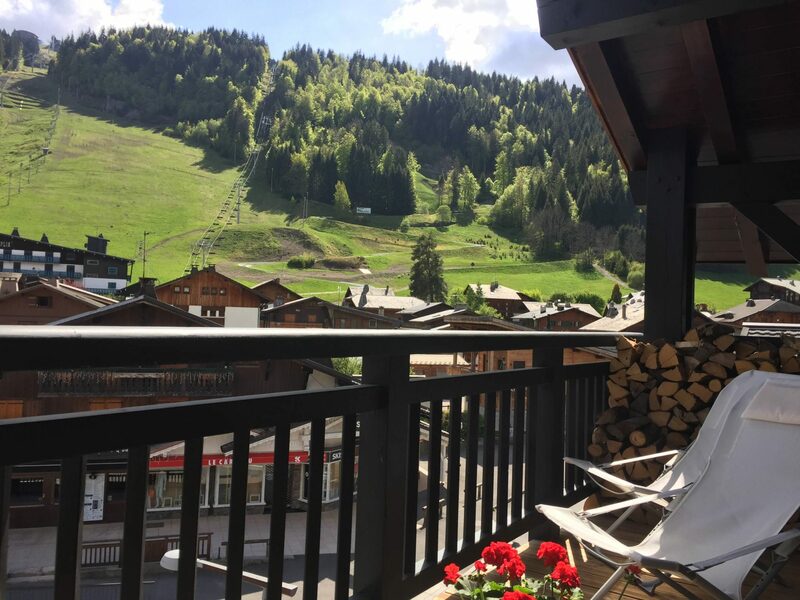 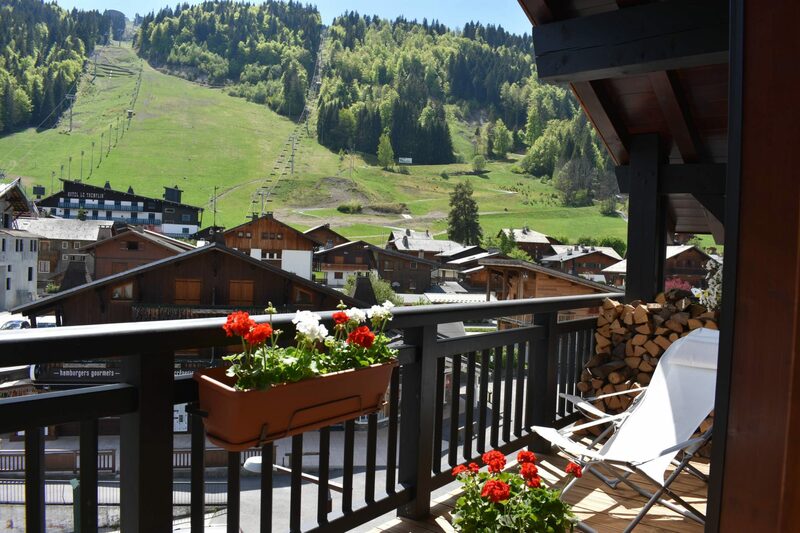 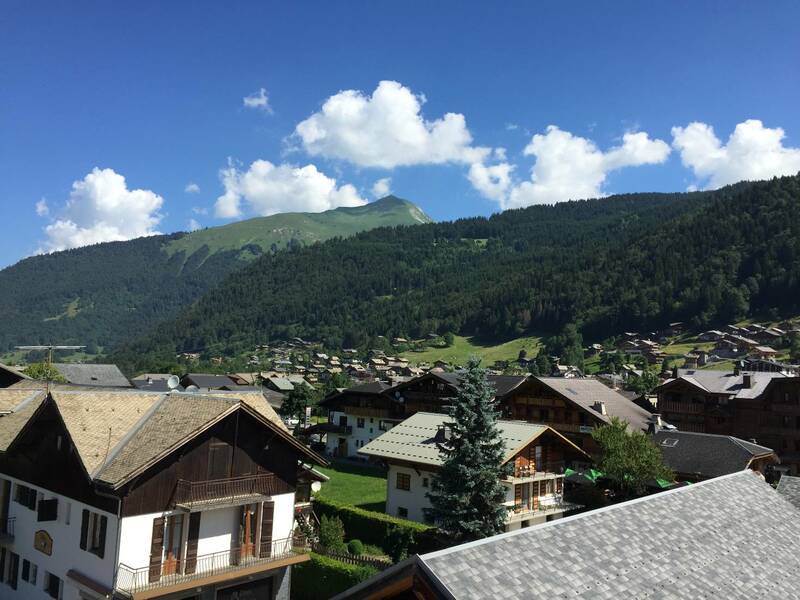 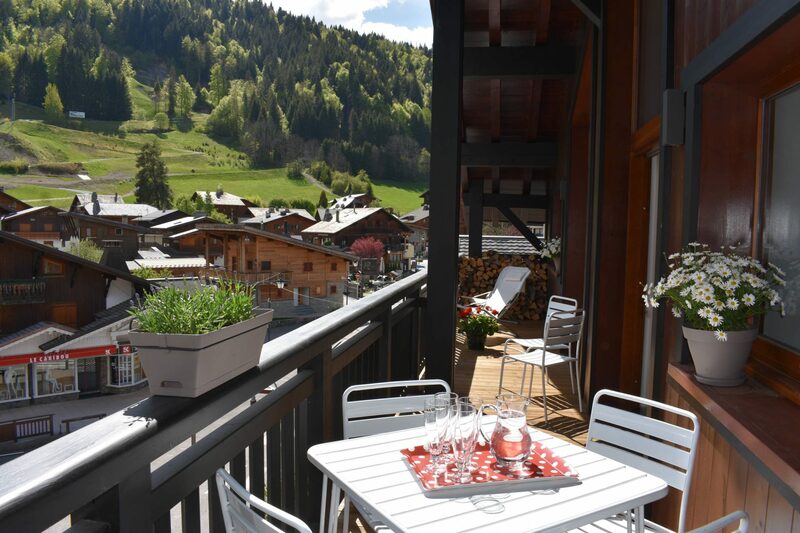 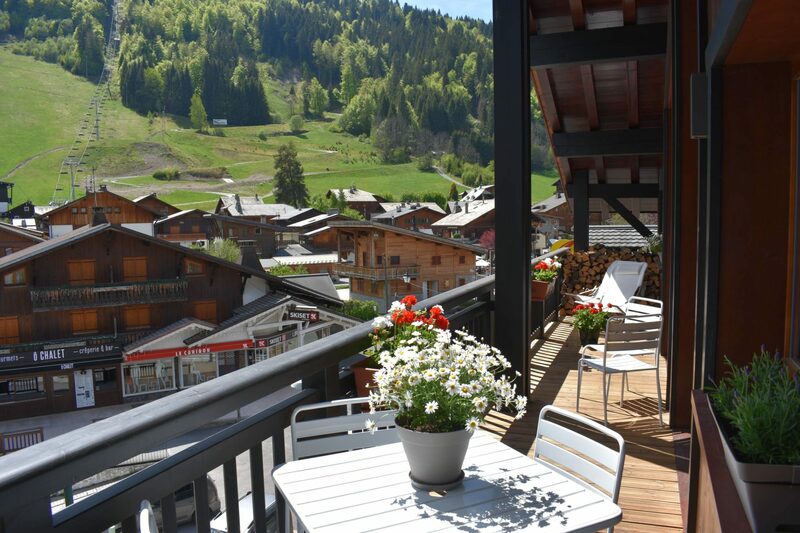 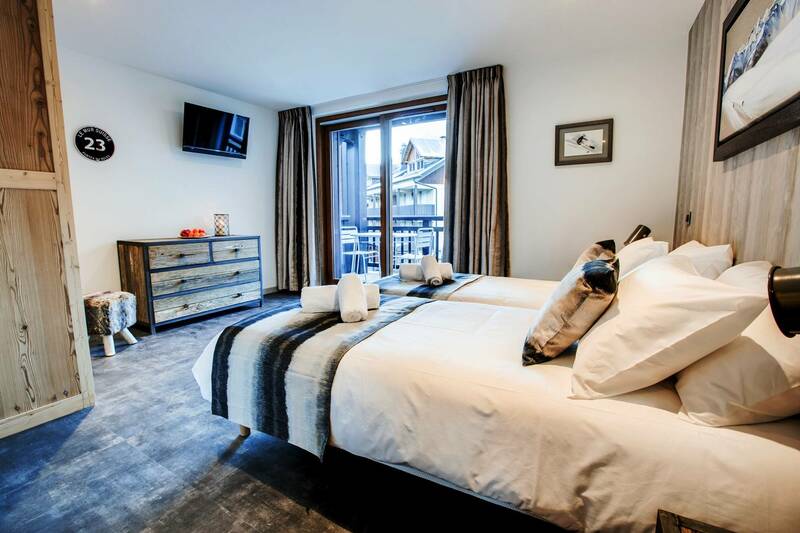 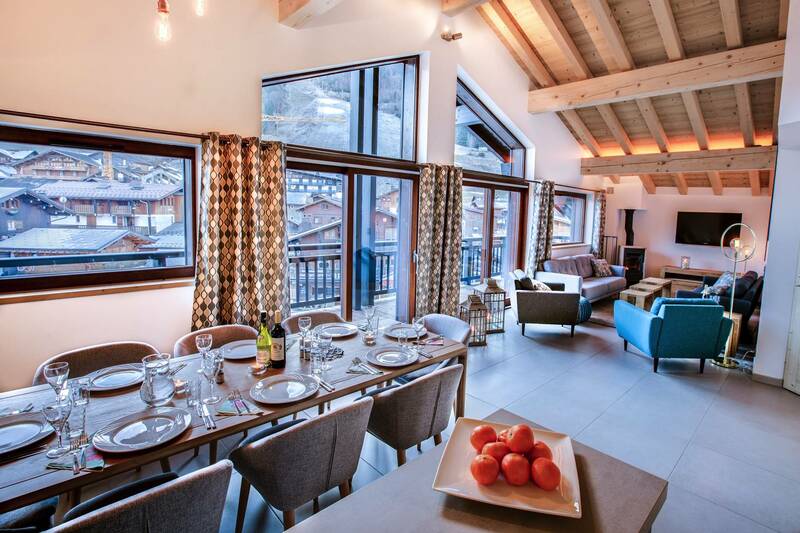 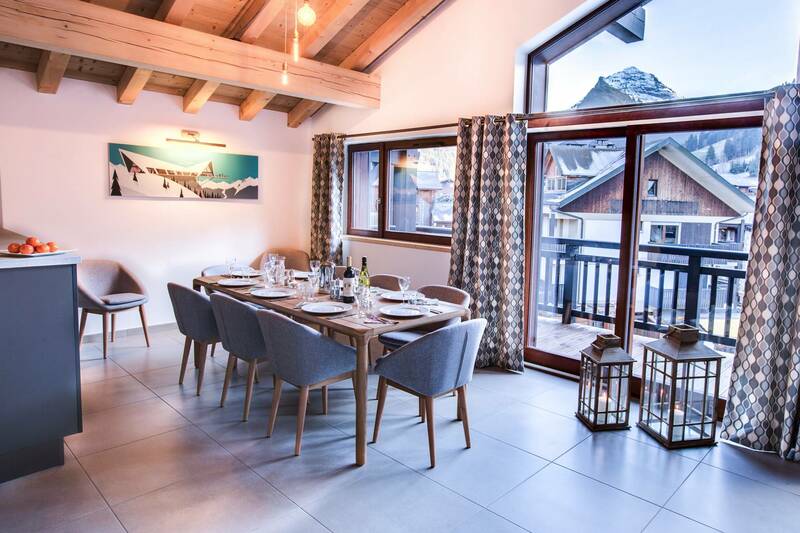 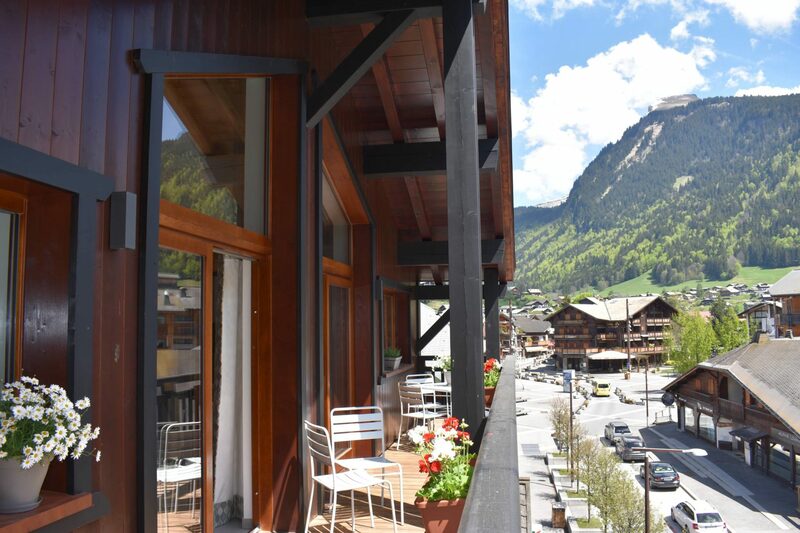 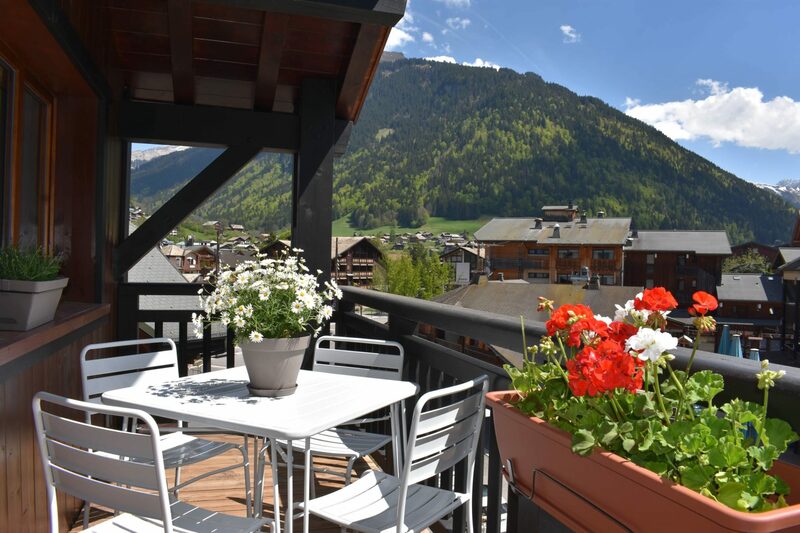 This chalet apartment is RIGHT in the centre of Morzine, at 131 Taille du Grand Mas, just 260 metres from the Pleney Telecabine and 350 metres from the Super Morzine Telecabine, meaning you can literally be in the mountains in moments. 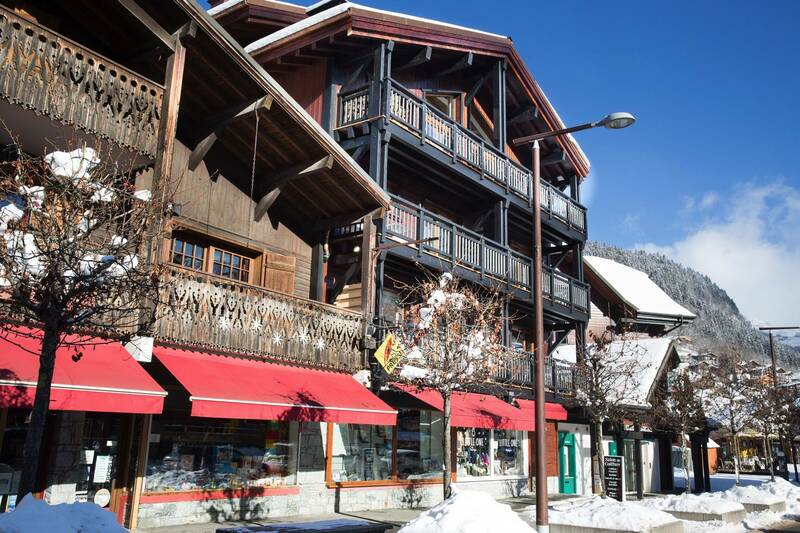 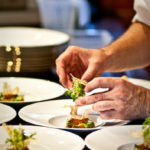 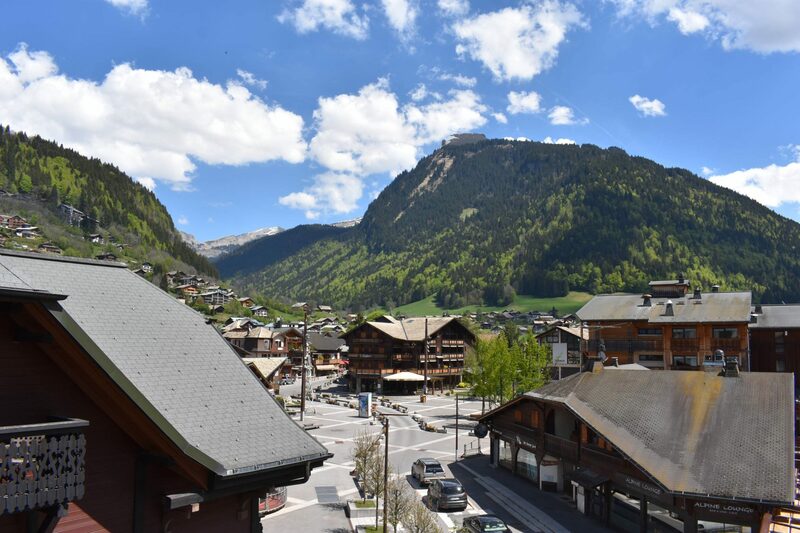 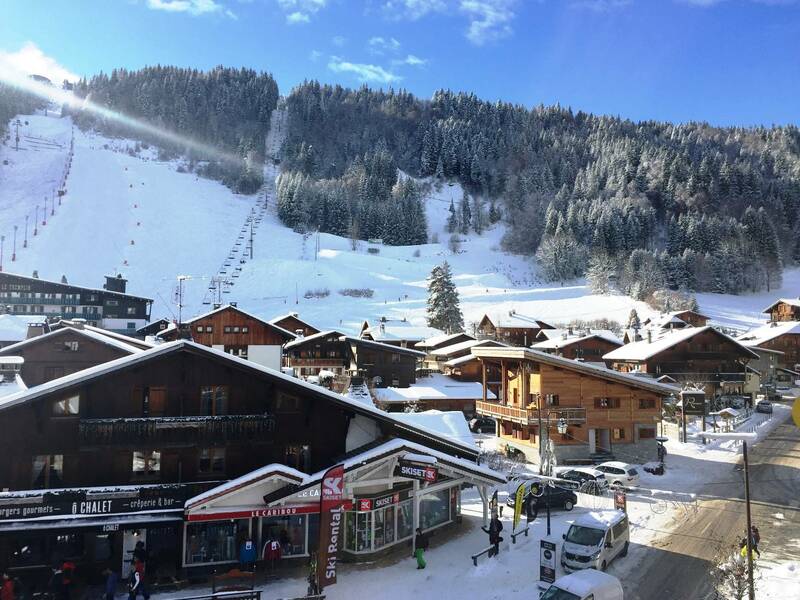 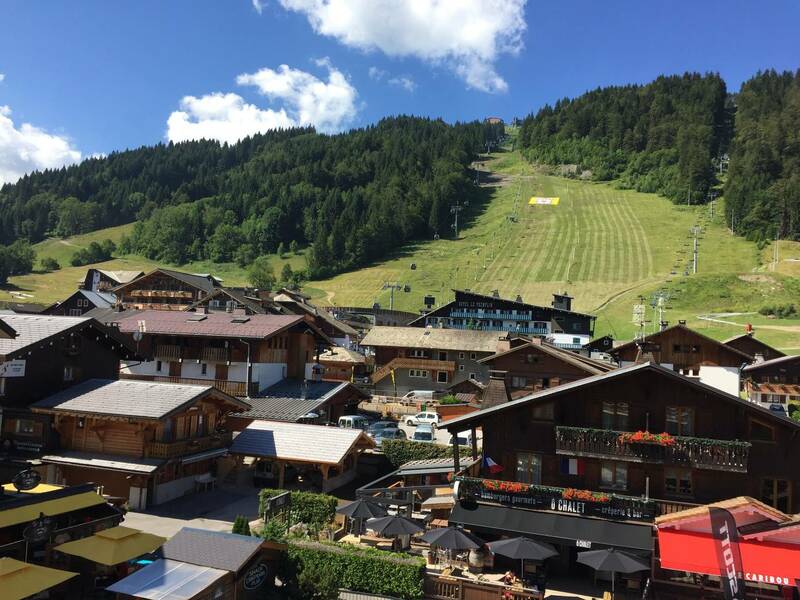 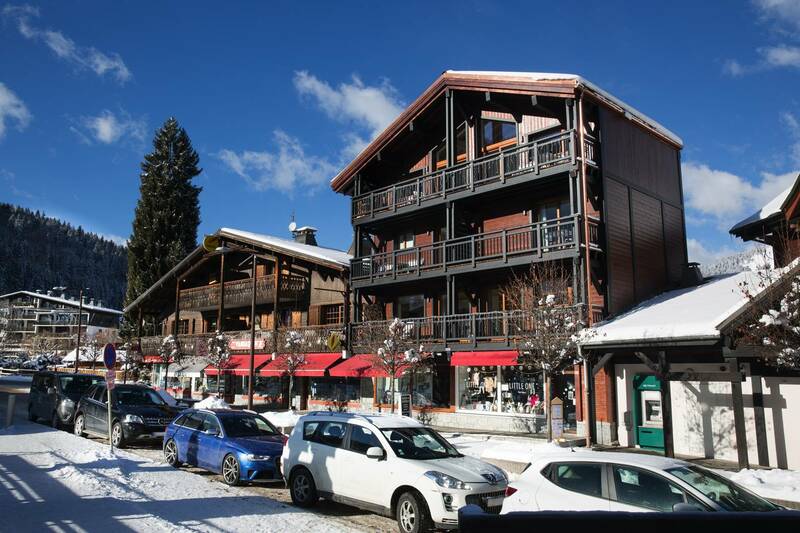 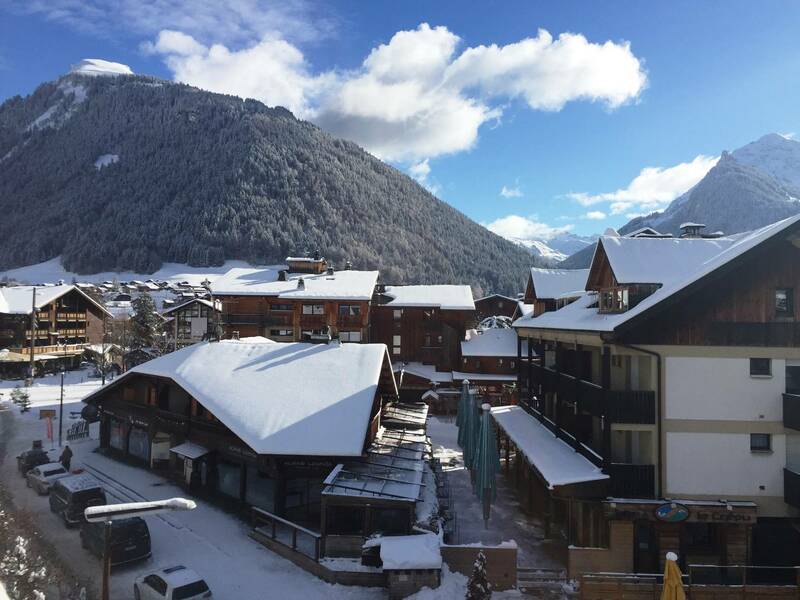 The tourist office is just round the corner as well a great choice of shops, restaurants and bars, Morzine swimming pool complex, tennis courts and skate park are a few minutes walk away. 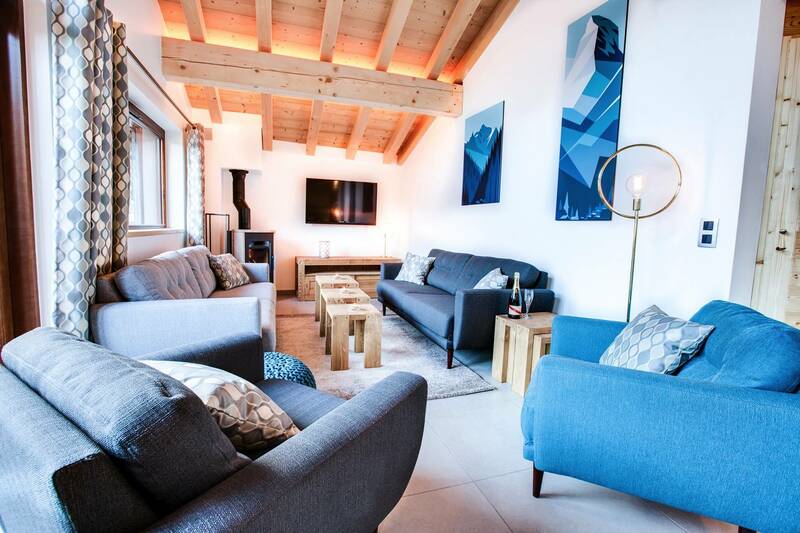 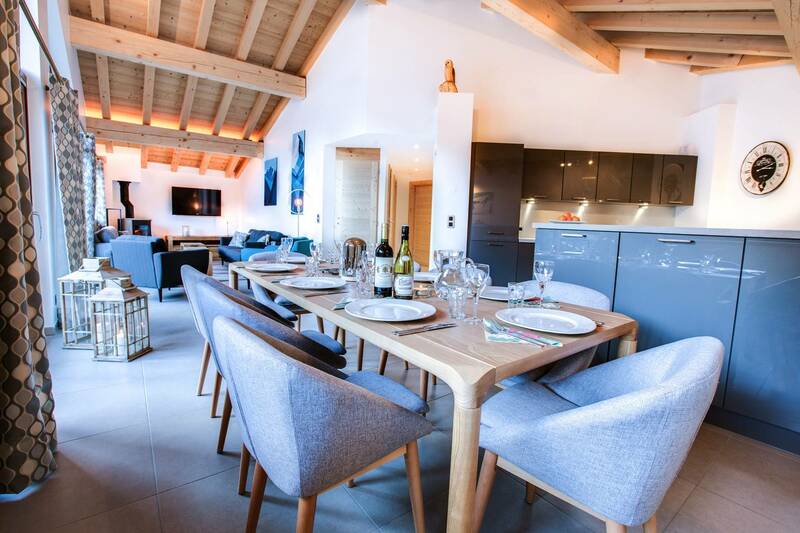 Chalet Chouette has 3 levels, the first floor has one twin/ensuite bedroom then the second level consists of the main living area with an open plan kitchen/dining and living area and 2 bedrooms then the 3rd floor has the large family room. 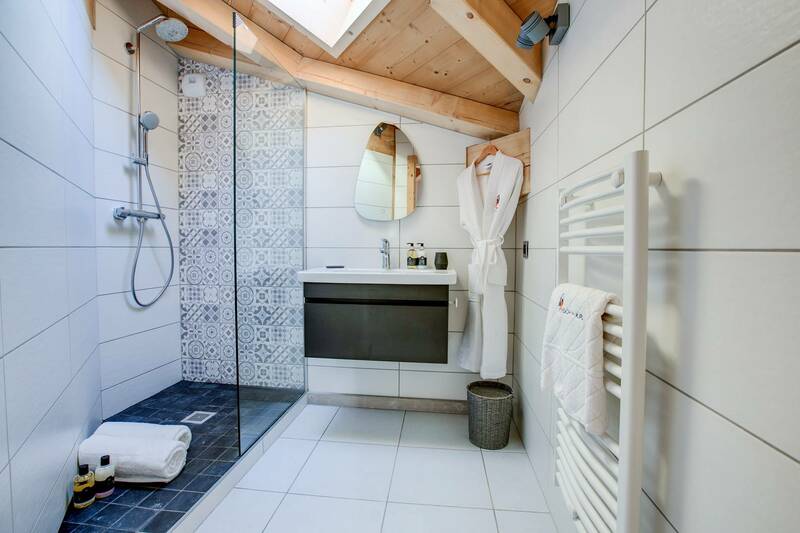 Chalet Chouette and Chalet Hibou share a sauna/shower room on the ground level of the building. 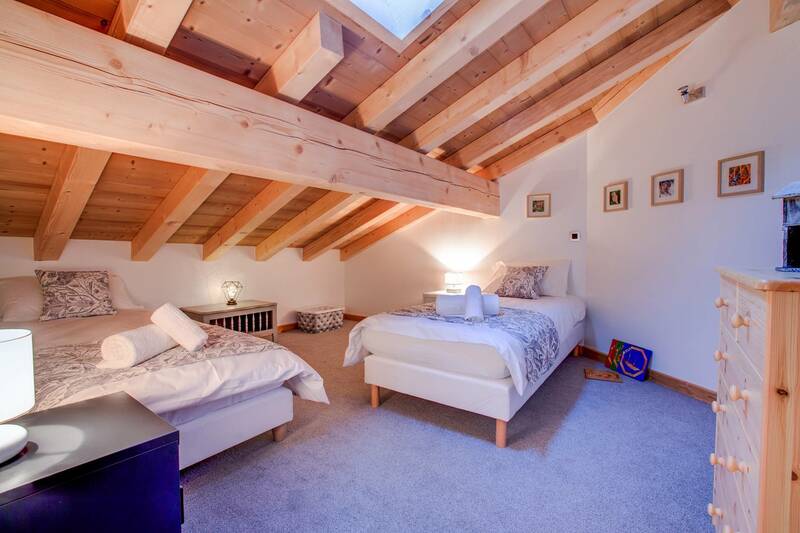 There’s plenty of secure storage for bikes.